The Westport Woman’s Club is now accepting proposals for its annual $5,000 Ruegg Grant. Local non-profit organizations are invited to submit their proposals for projects that will make a meaningful difference in our community. This grant, established in 1995 by an endowment left to the club by former member Lea Ruegg, is given each year to a deserving organization in the arts, educational endeavors, and health and safety-related fields. Past beneficiaries include the Westport Astronomical Society, Project Return, Earthplace and Wakeman Town Farm. 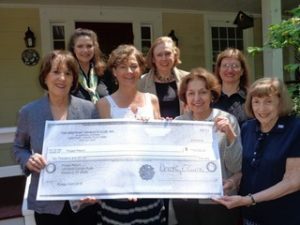 Community groups with impactful and meaningful projects for this year should submit their project proposals and relevant financial information by March 15, 2018 to the Westport Woman’s Club Ruegg Grant Committee, 44 Imperial Avenue, Westport, CT 06880.